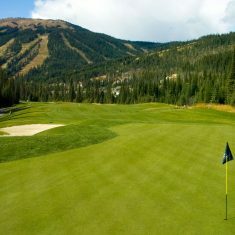 Sun Peaks Golf Course | Sun Peaks Golf Course | Ecosign Mountain Resort Planners Ltd. 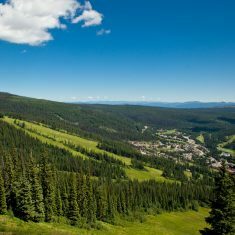 Since 1992, Ecosign has acted as prime consultant and project planner for the transformation of the Tod Mountain Ski Area into Sun Peaks Resort, a four season resort community with approximately 500 residents and 5,000 new beds. 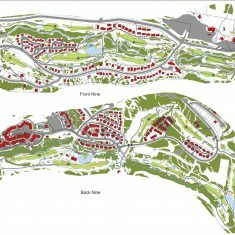 Over $350 million has been invested by the resort and private developers to expand the ski area onto 3 mountains, construct an 18 hole championship golf course and build over 1,300 new dwelling units. Skier visits at Sun Peaks have increased from 69,000 in 1992/93 to 345,000 in 2007/08. 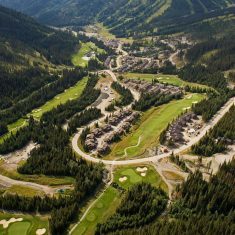 Ecosign has guided every step of development at Sun Peaks, starting with the initial Resort Master Plan and the detailed Village Plan for the Village at Sun Peaks. 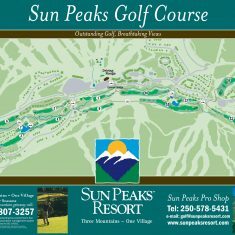 The Sun Peaks resort golf course opened its Front 9 in 1996. The spectacular Back 9 opened in the summer of 2005. Ecosign worked in conjunction with the golf course architect Graham Cooke.